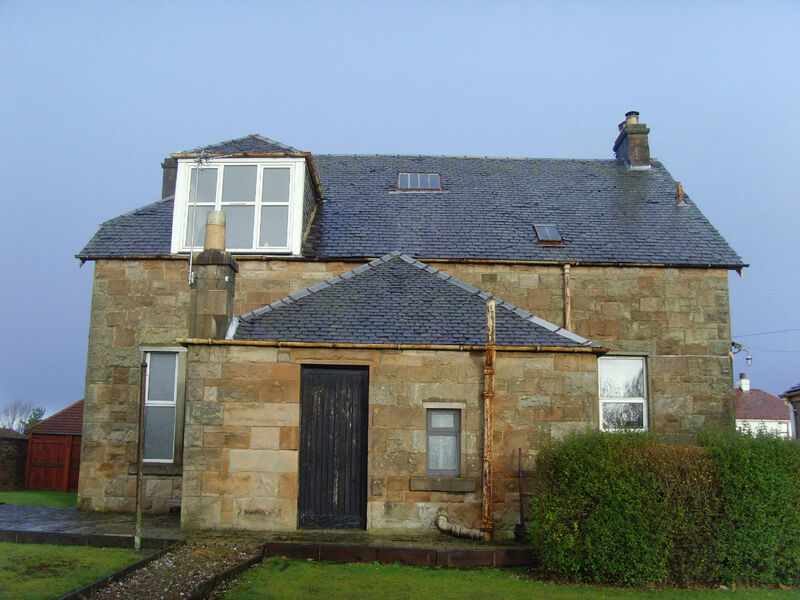 When our client purchased this detached sandstone property, it was out-dated, unloved and in desperate need of repair. 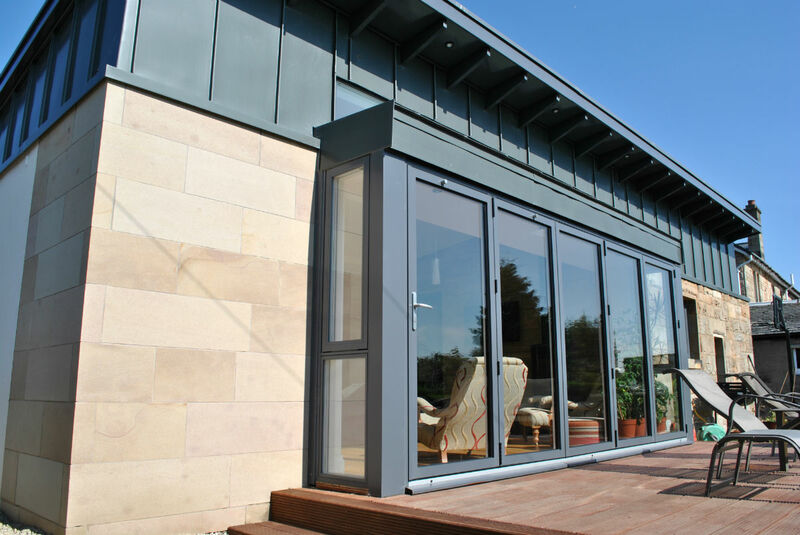 Coogan Architects were tasked with a full refurbishment and extension project to create a home that was sensitive to the existing building’s character yet suitable for modern family living. 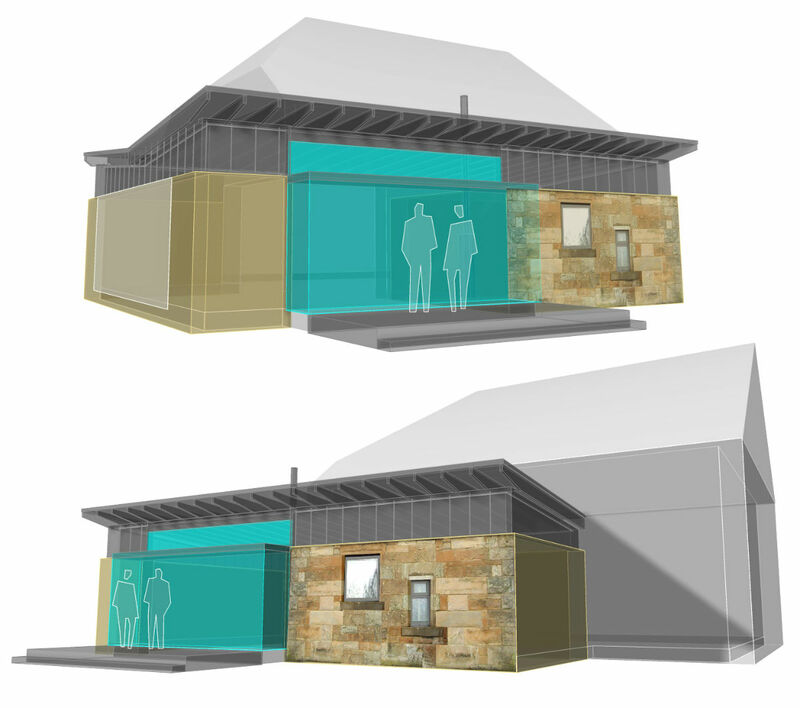 Our client’s desire was to open up the rear of the house to the garden area, however it was believed an existing stone outbuilding was acting as an obstruction and was considered for demolition. 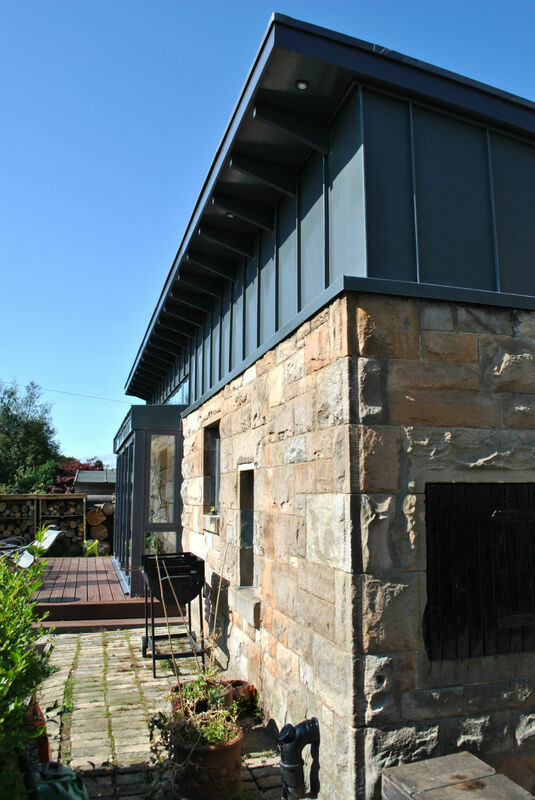 Our design solution was to retain the existing stone walls of this outbuilding and extend across the rear of the house to create a new open-plan kitchen, dining and informal living area. 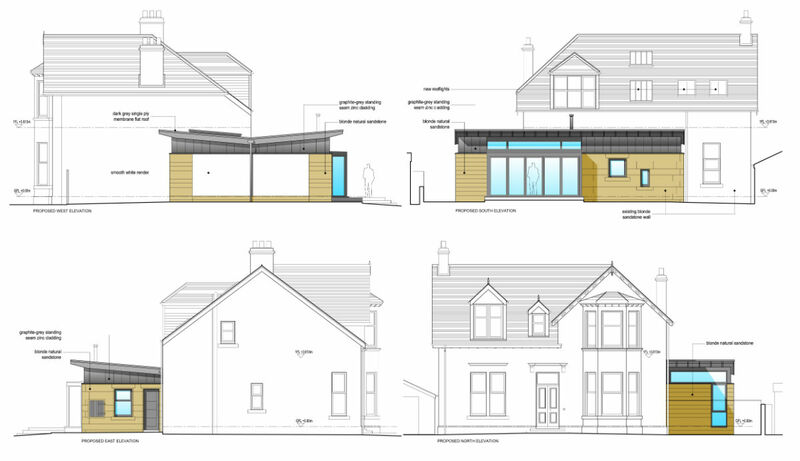 Elements of old and new were then unified with a single ‘butterfly’ roof with externally exposed roof beams. 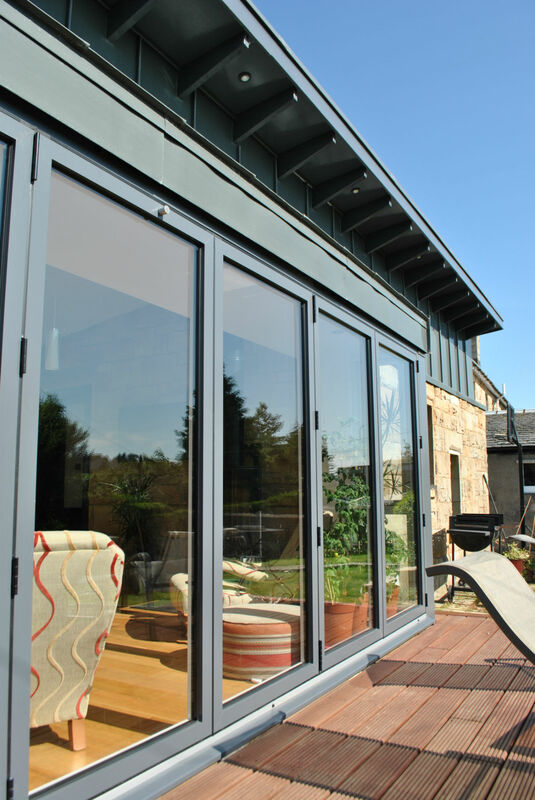 The new internal space is filled with natural daylight by way of a feature bi-folding door bay window, clerestory glazing and large bespoke rooflights. 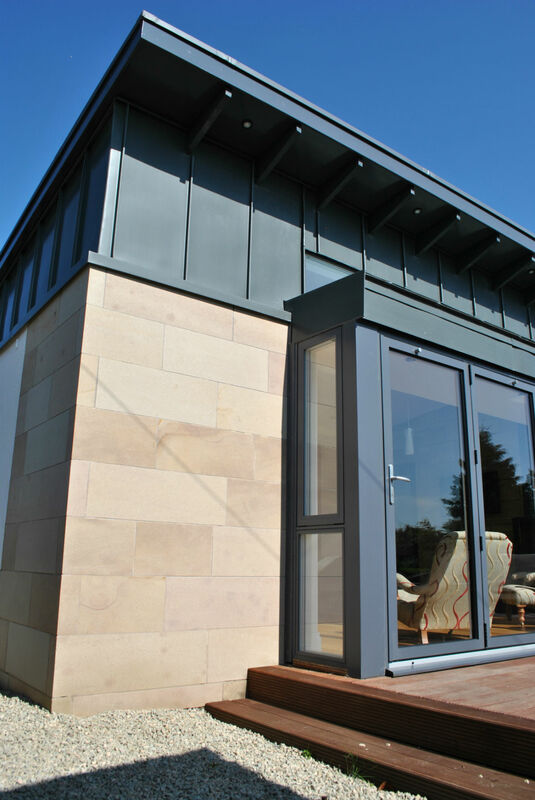 The contrast of old versus new is further evident by introducing smooth sandstone cladding opposite the textured, random coursing of the original sandstone. 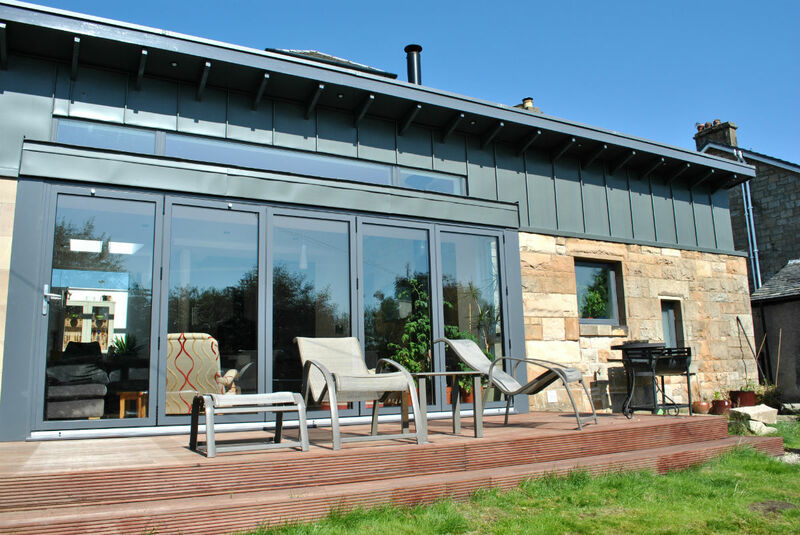 These materials are sympathetically capped by graphite grey standing seam zinc cladding.